This year-long book of devotions consists of fifty-two engaging stories along with daily questions and activities for each week of the year. Girls respond to each story as it relates to their own lives with talk, journaling, and prayer. This collection of award-winning devotions will affirm girls in their identity as Gods children and special creation. 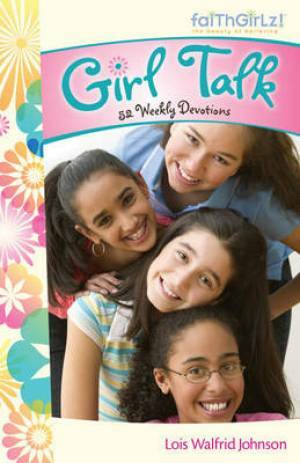 Girl Talk by Lois Walfrid Johnson was published by Zondervan in September 2009 and is our 22718th best seller. The ISBN for Girl Talk is 9780310714491.